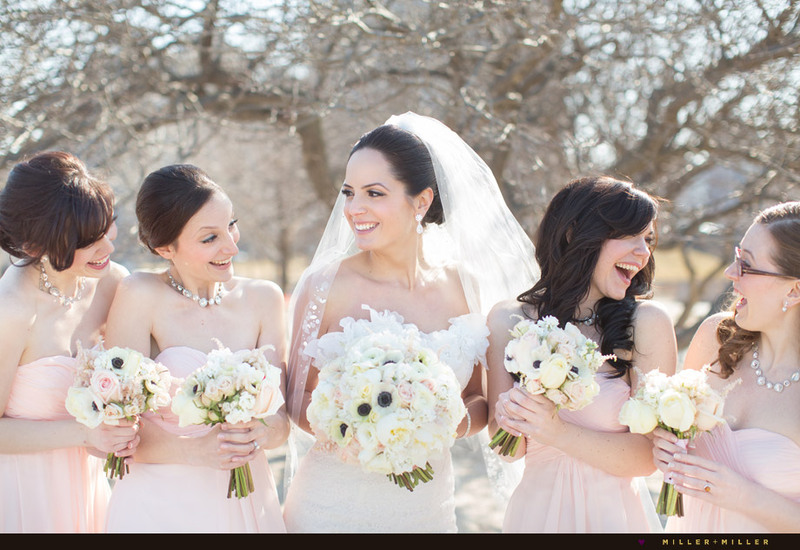 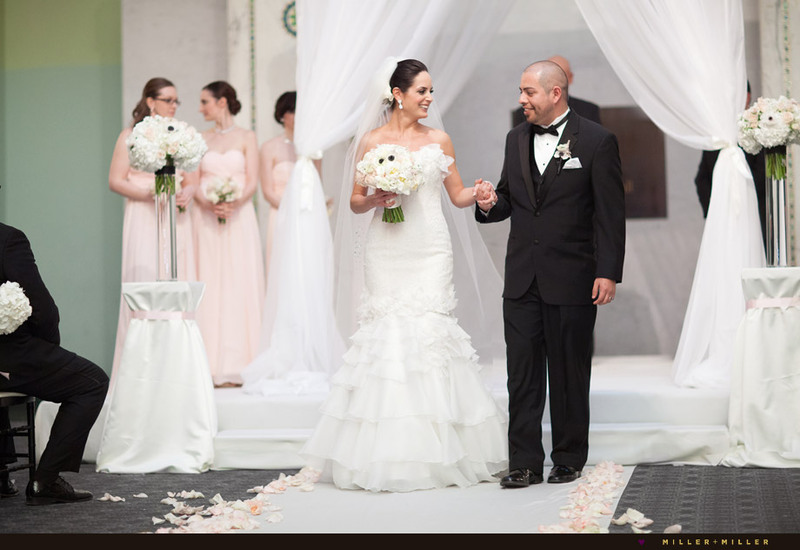 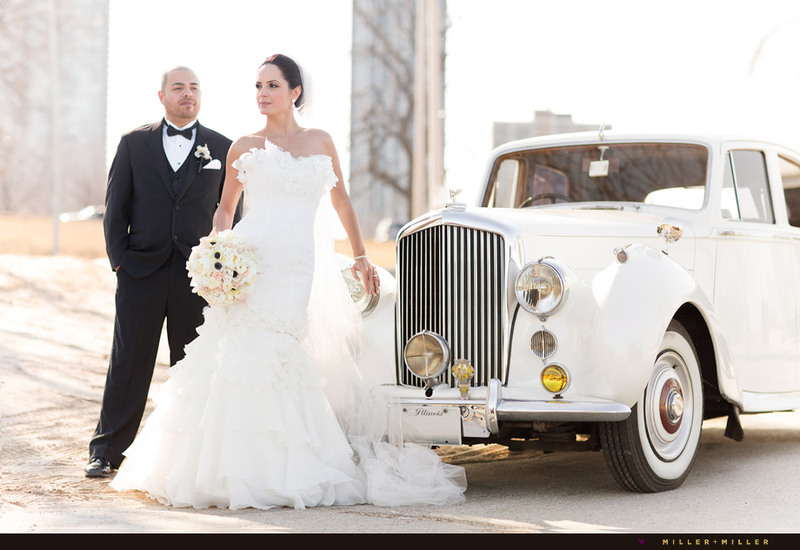 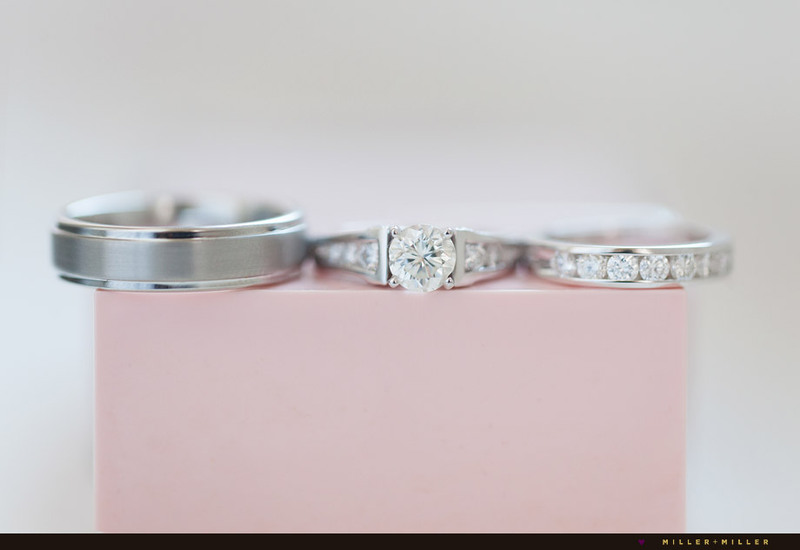 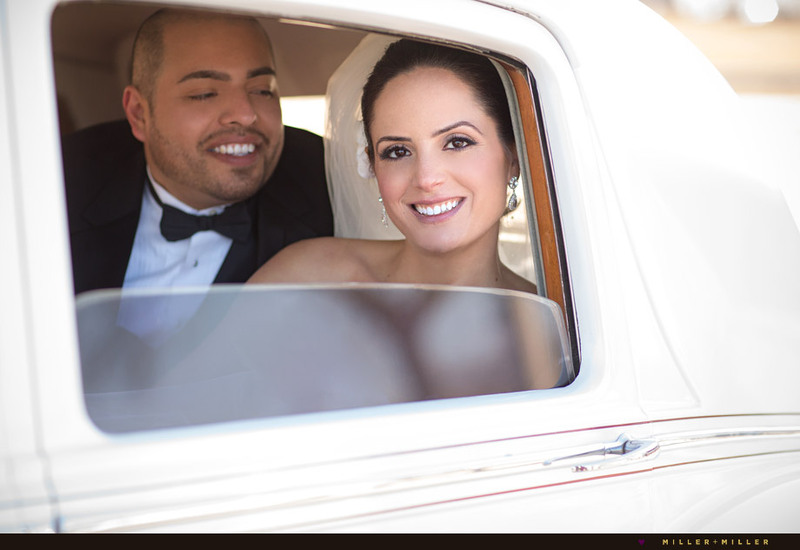 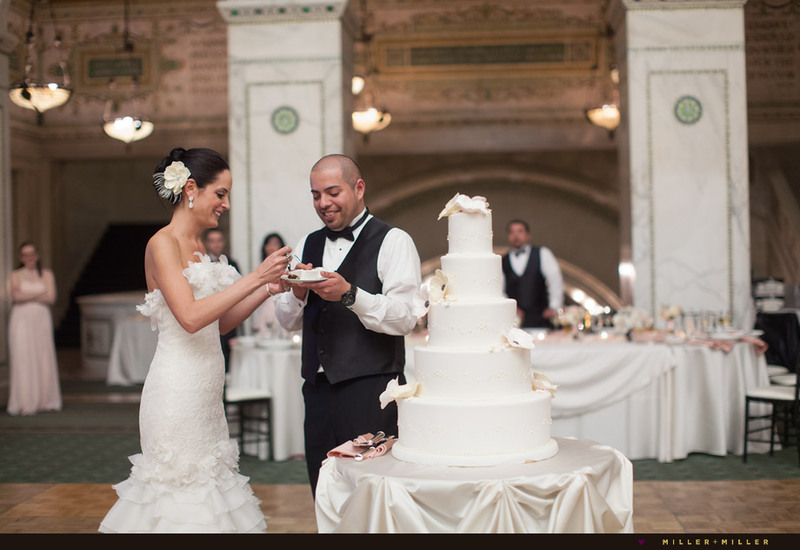 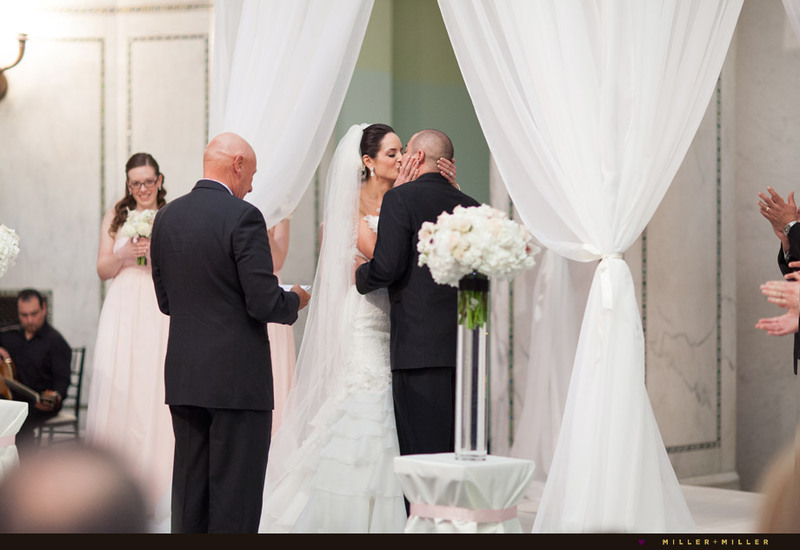 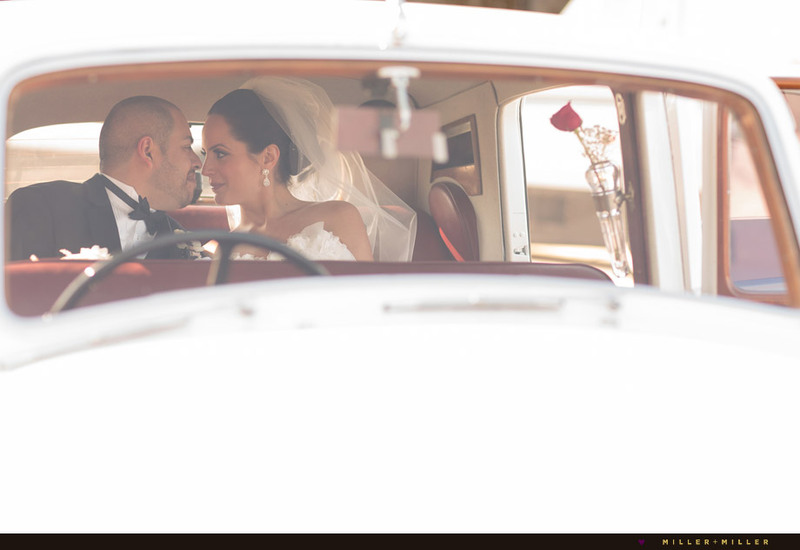 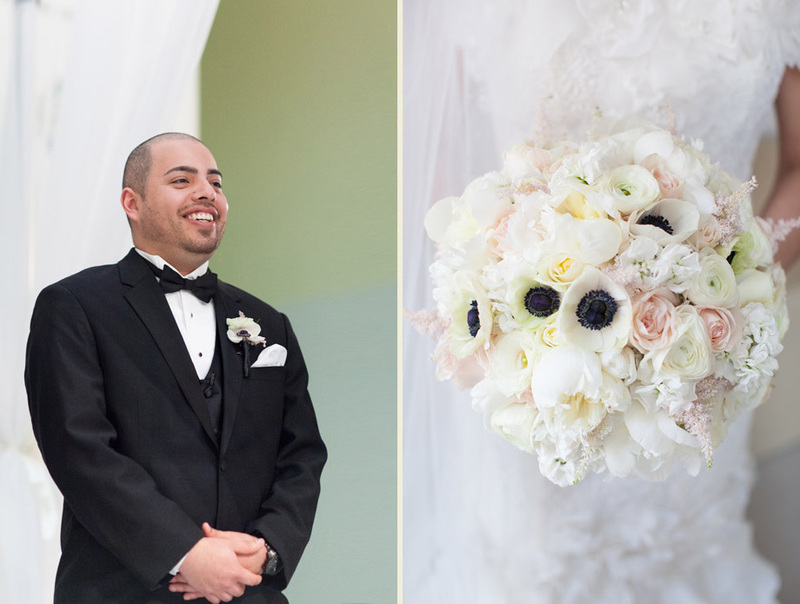 “Victor + Kristin’s chic and elegant wedding affair was all dressed up in an elegant city style. 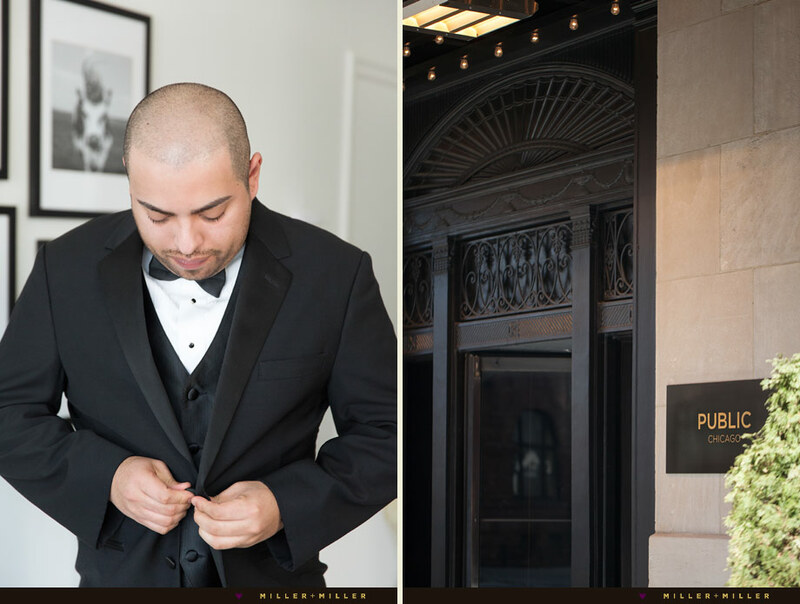 From a grand arrival in a 1954 classic wedding Bentley car touring the town, to private access to capture skyline photos op top of the PUBLIC Hotel rooftop, V+K’s spring wedding was a grand event we were honored to be selected to photograph. 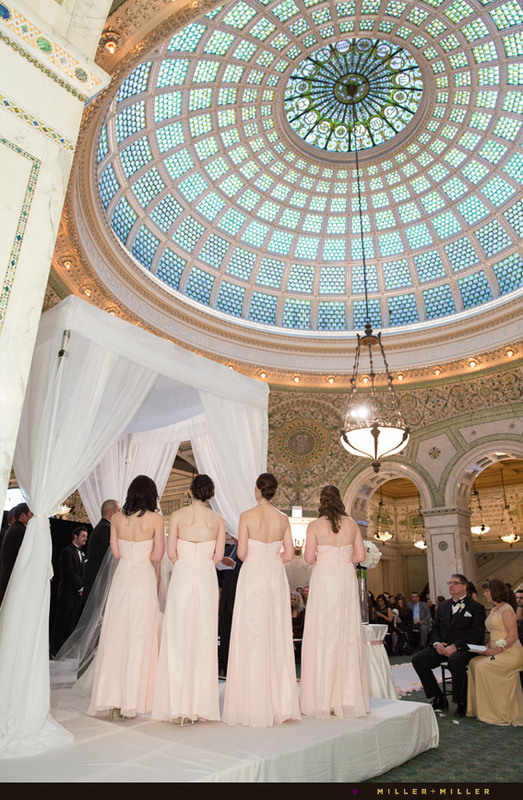 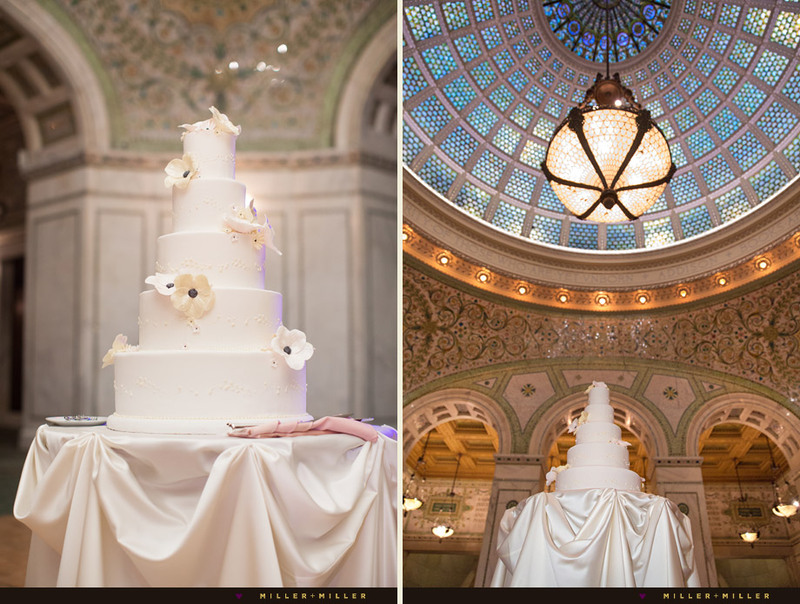 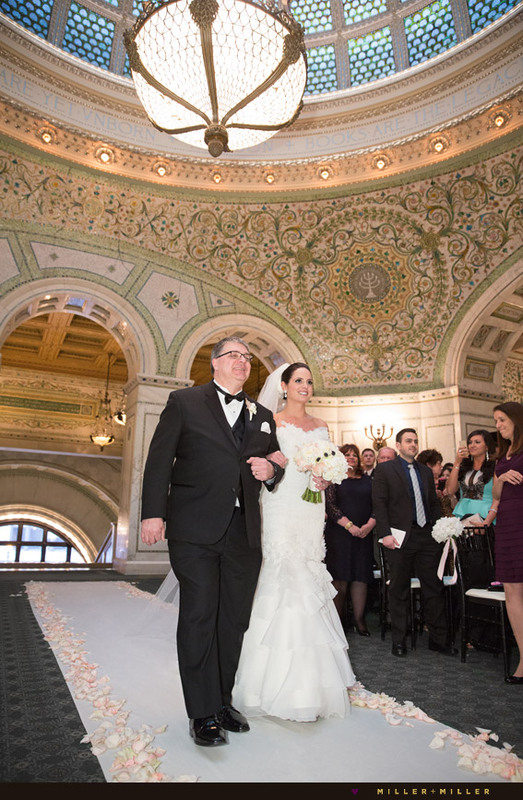 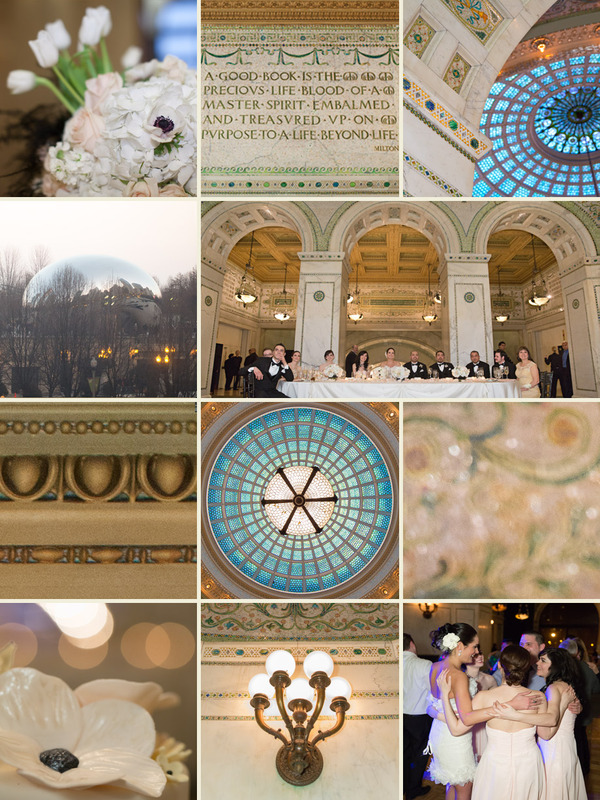 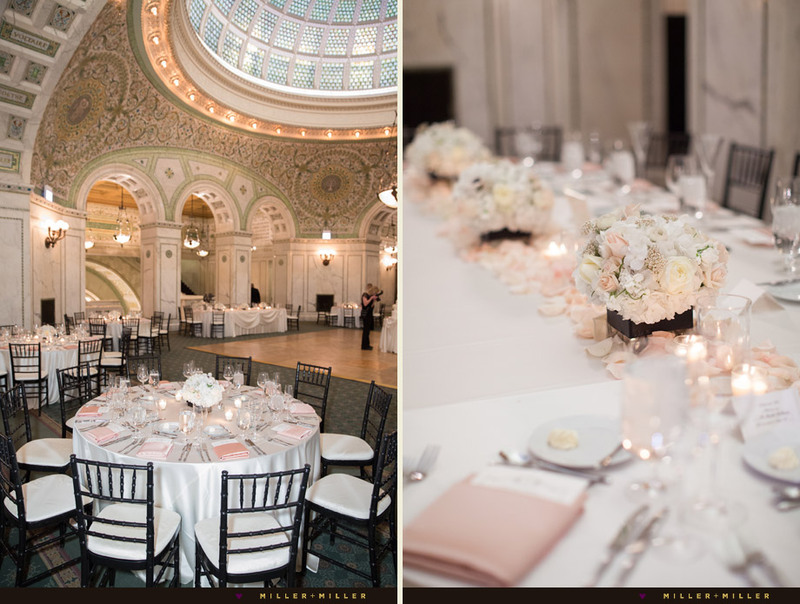 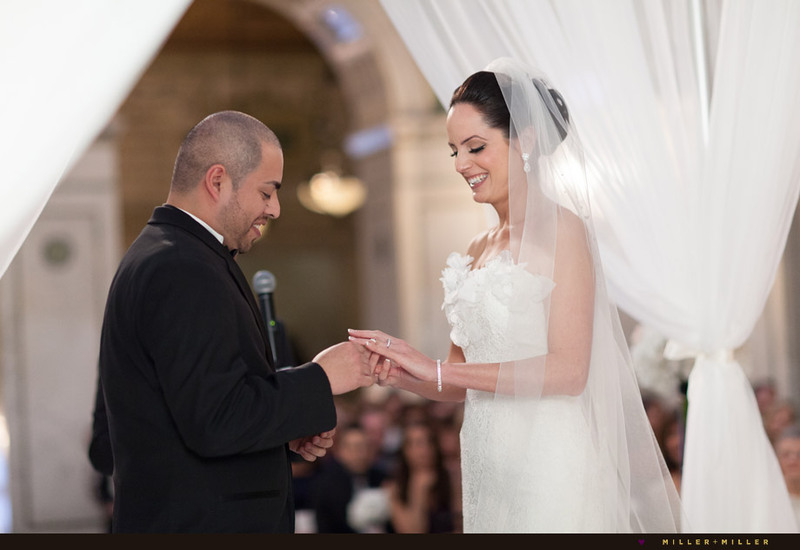 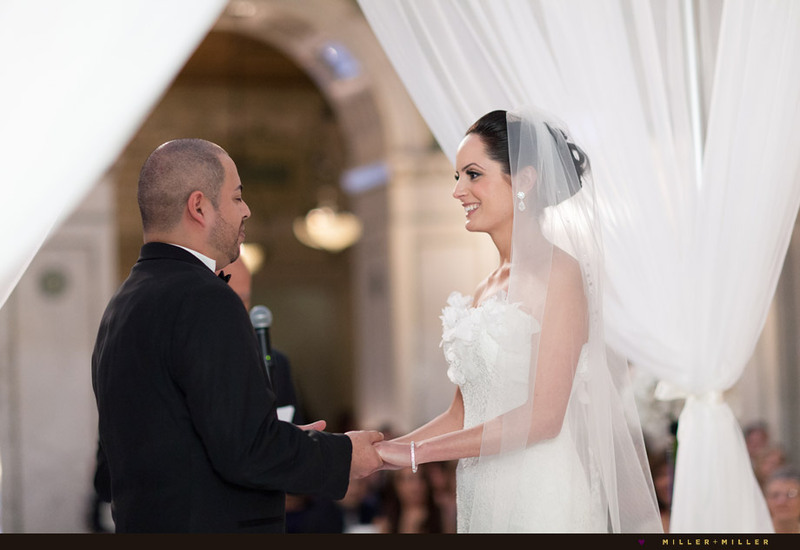 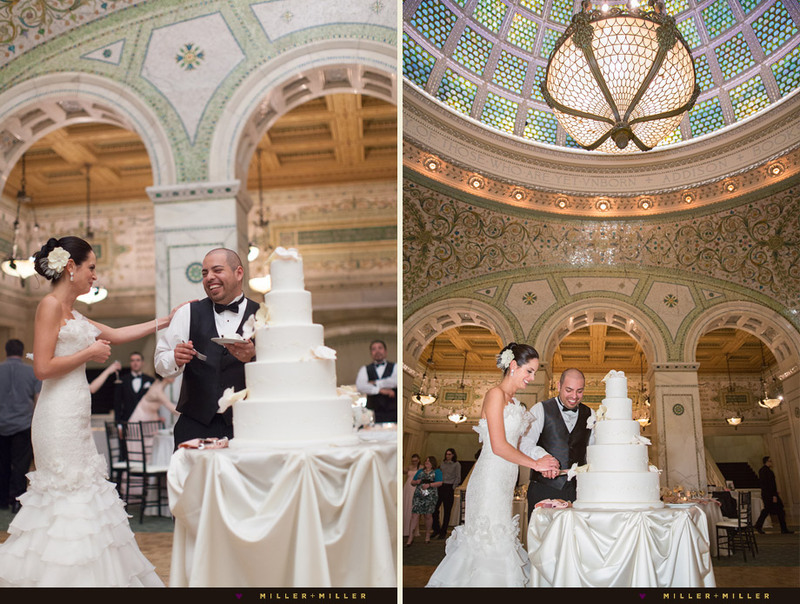 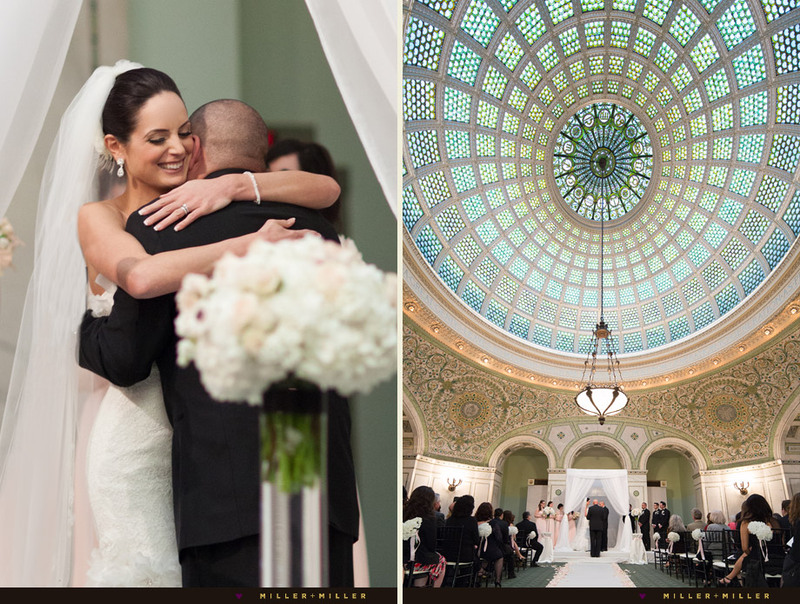 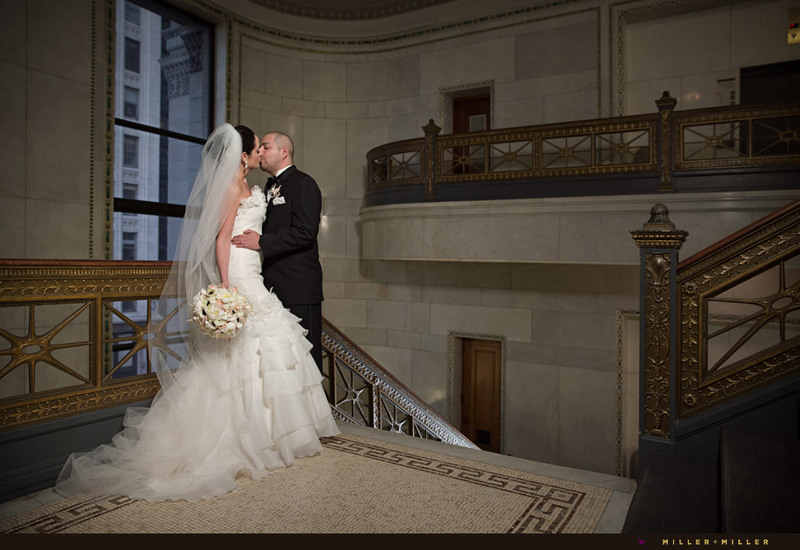 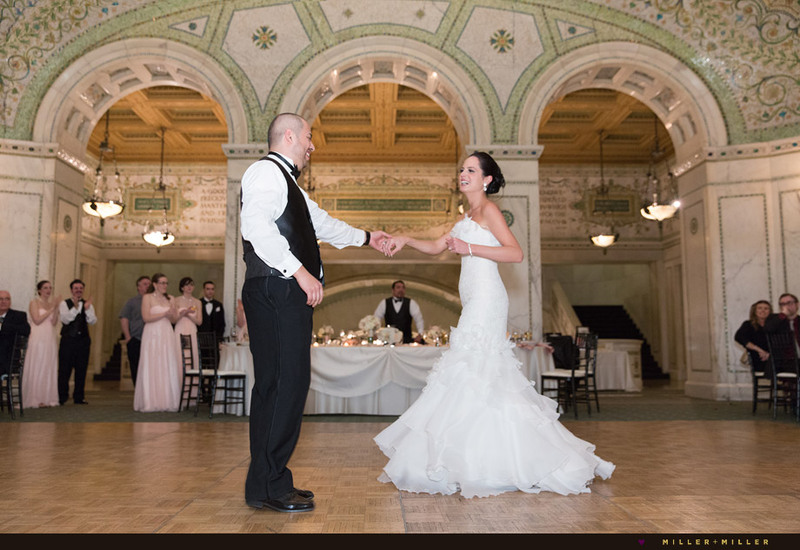 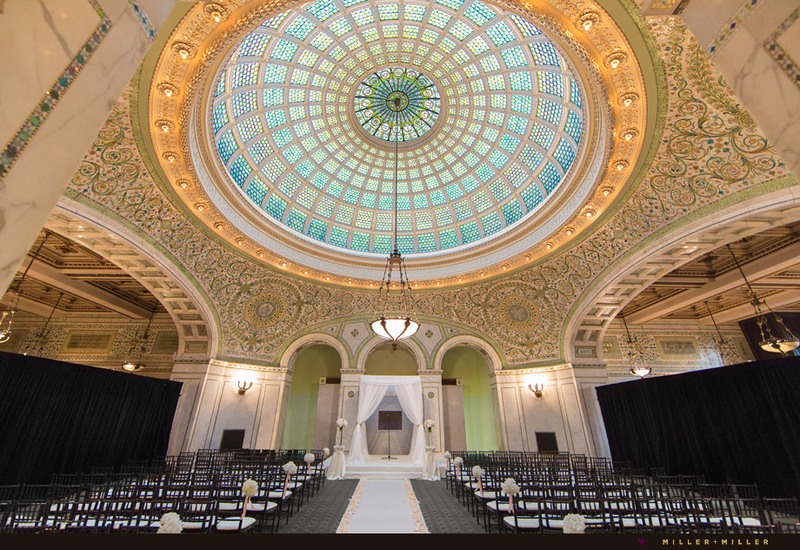 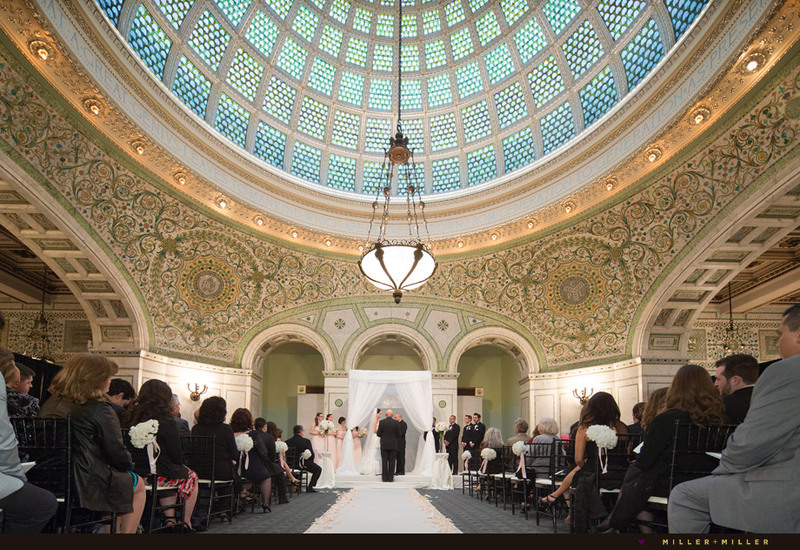 When we first met with Victor and Kristin, we fell in love with their day’s plans to include exchanging wedding vows under the famous Tiffany Dome at the Chicago Cultural Center and photos at the PUBLIC Hotel, two of the city’s most fascinating historical and architectural landmarks. 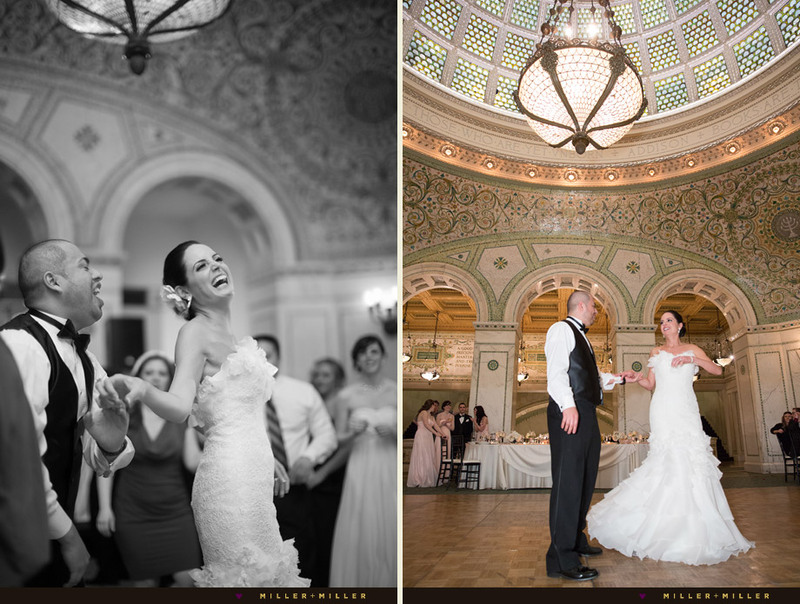 As these photos reveal from morning prep through evening festivities, it was clear that this classy couple was ready to make a little history of their own. 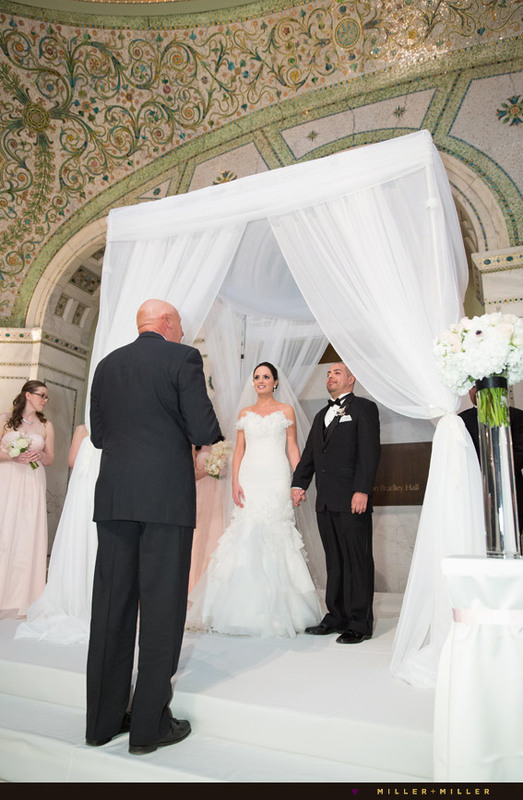 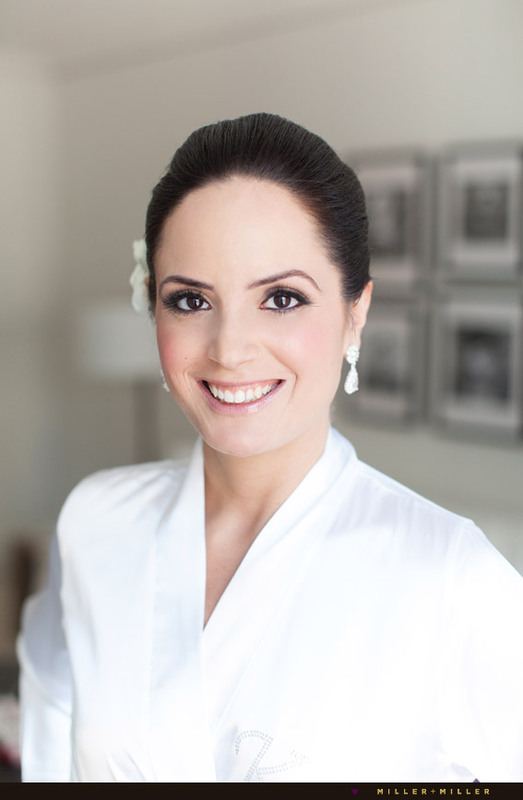 The day began at the Ambassador Chicago Hotel (formerly PUBLC Chicago Hotel) where the bride and groom prepared in individual suites decorated in a crisp, clean and simple white motif. 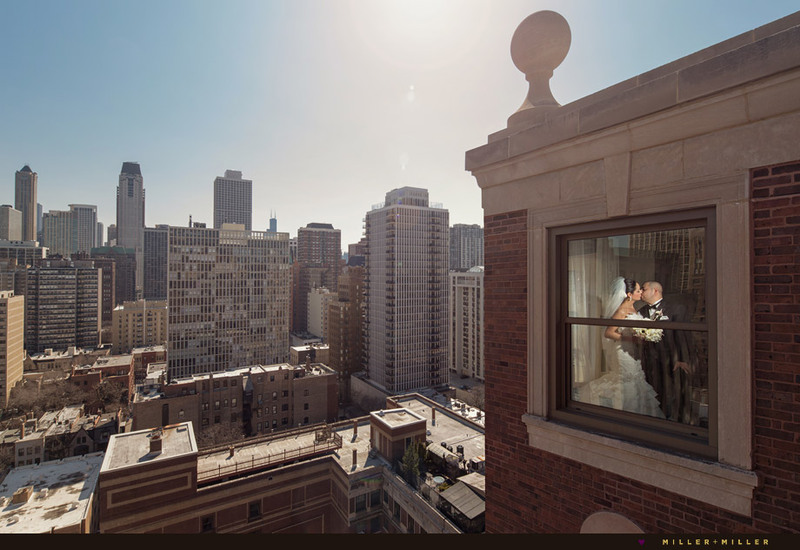 As a premier Chicago Gold Coast establishment (it was adapted from the old Ambassador East Hotel and famous Pump Room Restaurant), the Ambassador Hotel spared no expense in its approach to ultra contemporary décor that carried from the lobby up to the open-air rooftop. 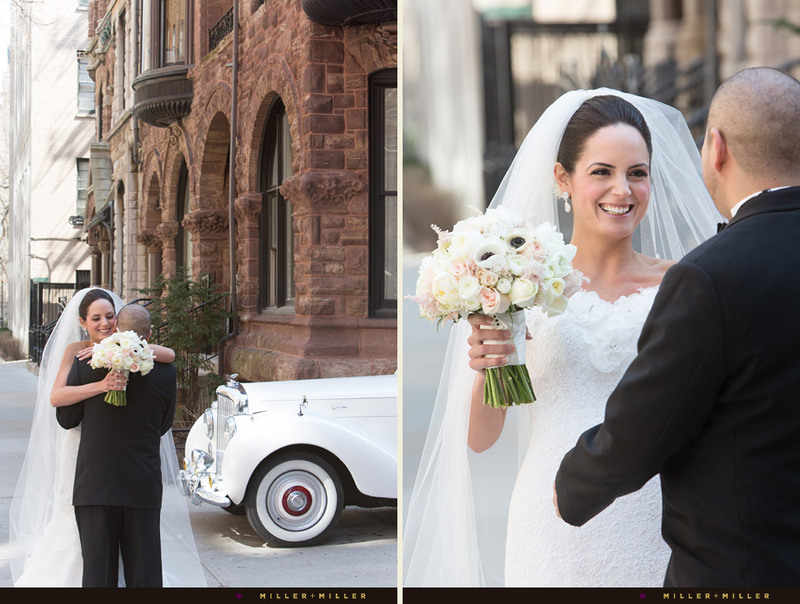 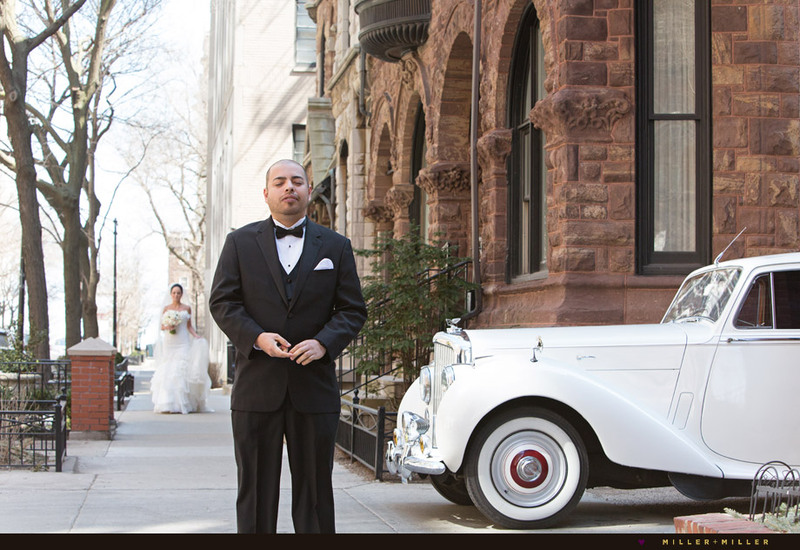 After a reveal of the dazzling bride to the groom, the couple exchanged first looks of one another outside the State Street hotel neighborhood’s classic brownstone residences. 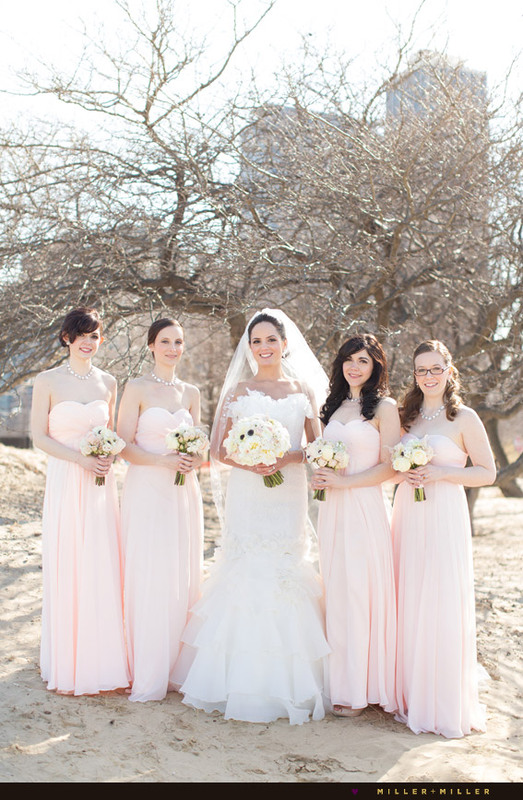 It was up on the top of this classic landmark building’s rooftop that we captured some glamorous photos of Victor and Kristin, and their bridal party who were outfitted in blush pink bridesmaid dresses and classic black tuxes. 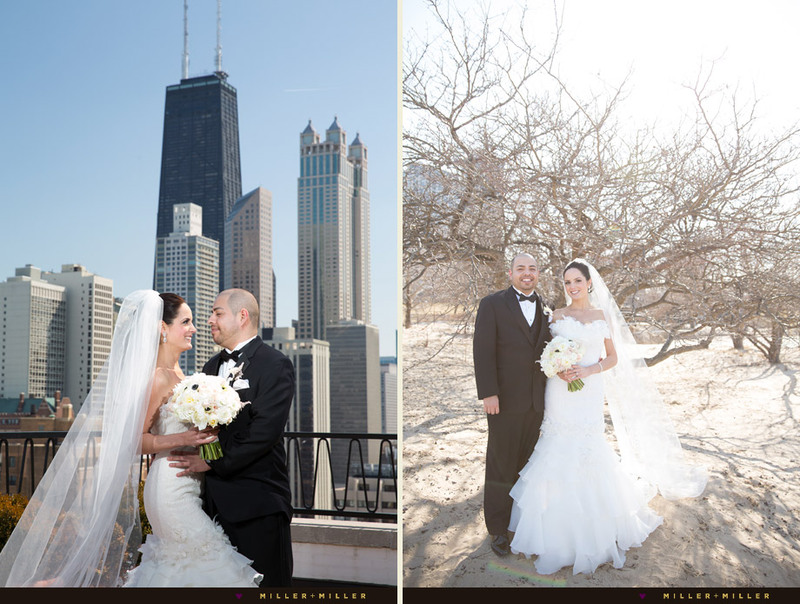 With the dramatic Chicago city skyline behind them and the rest of their lives in front of them, it was as if they were on top of the world. 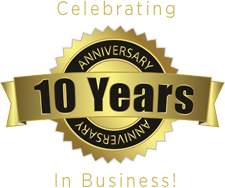 Menu: Hors d’oeuvres: Sope with Braised Chicken, Beef Carpaccio Bruschetta, Bacon Wrapped Date Stuffed with Chorizo, Sweet Corn Blini with Smoked Salmon, Mini Maryland Crab Cake, Moussaka Cup. 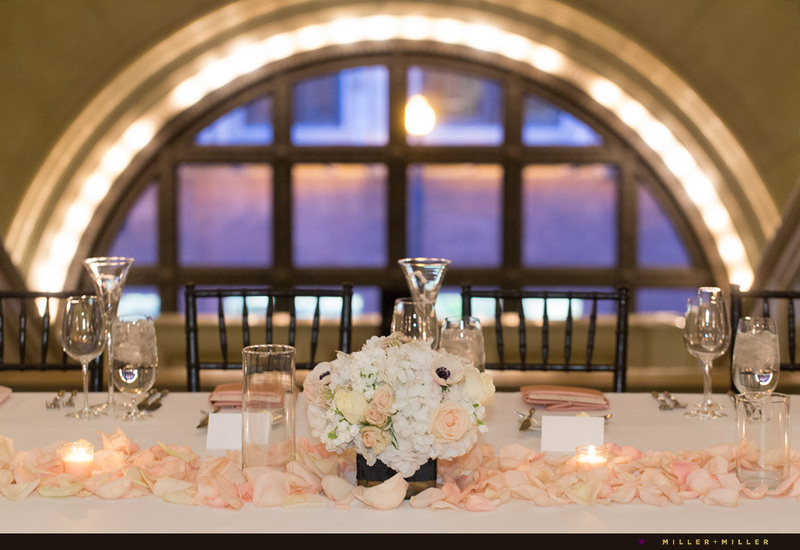 First Course: Baby Arugula Salad with Avocado, Parmigiano Reggiano, Tomato Focaccia Croutons, Easter Egg Radish, Cherry Tomatoes, Lemon Vinaigrette. 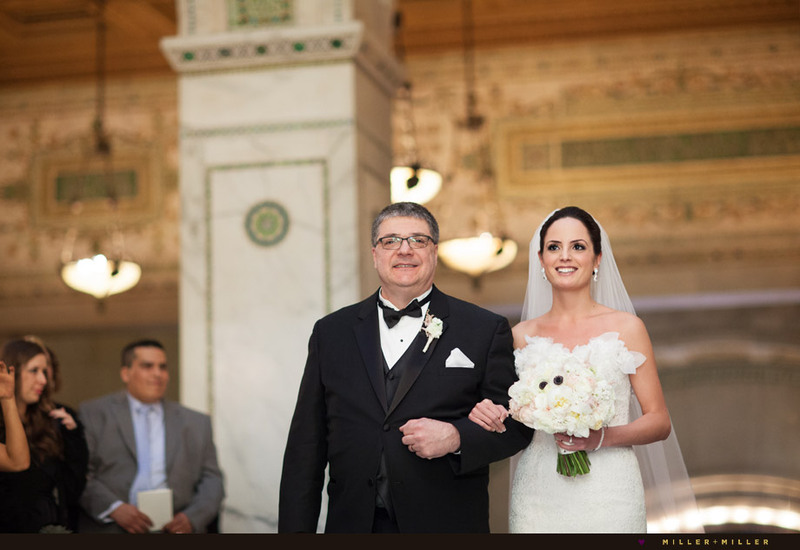 Entrée: Filet of Beef and Tilapia with Spring Garlic Marmalade or Phyllo Purse of Braised Artichokes, Wild Mushrooms, and Leeks.